GIVEAWAY HAS ENDED! Thank you to all who entered and congratulations to Teejuscristo. Look out for more giveaways in the future. We have an extra PC code for Far Cry 3: Blood Dragon that we will be giving away to one lucky reader. First up, if you haven’t read our review on the game yet, get that out of the way by clicking here. You should be aware of the amount of awesome you might get to experience. Then head on back to this post to enter. To enter the giveaway is extremely simple. In honor of ’80s acting icon Michael Biehn’s involvement with the game, just leave a comment below telling us your favorite Michael Biehn movie. He’s been in The Terminator, The Abyss, and Aliens. Or maybe The Rock is more your style. Just let us know in the comments below and you’re entered to win. The contest will run until Sunday, May 5 at 10AM EST. One lucky winner will be chosen at random and contacted via email. You can always follow us on Twitter and LIKE us on Facebook to know about future giveaways. 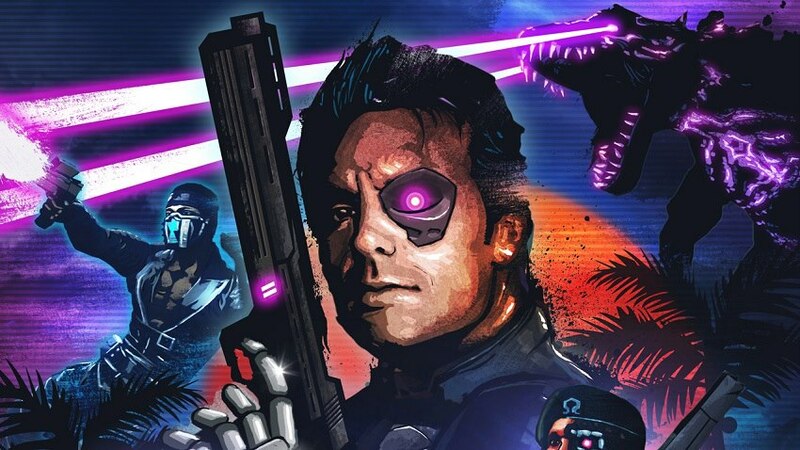 Tags: Far Cry 3: Blood Dragon, giveaway. Bookmark the permalink. Definitely The Terminator, it’s a family favorite. Hit me up on twitter @DontJudgeMyADD or via email with the same handle at gmail. cheers! I’m partial to Tombstone myself. I’ve been quite the fan of the Aliens franchise, sci-fi was intense back then. Oh and of course thanks for the giveaway! It is all about Terminator! I loved the crap out of The Rock but Terminator is definitely my favorite movie with this actor. My favorite Michael Biehn movie is definitely the Terminator, he made the line “COME WITH ME IF YOU WANT TO LIVE” famous forever!!! This game looks amazing. My favorite Michael Biehn movie is TOMBSTONE. I’LL BE YOUR HUCKLEBERRY! The Terminator of course 😀 Thanks for the giveaway, appreciate it! Deadfall. Not only did it star Michael Biehn but it also had Nicolas Cage in one of his most insane performances ever.